Rachel Degenhardt is Head of Global Services at Enhesa, with responsibility for ensuring the quality of all EHS regulatory services provided to international businesses. This includes assuring the accuracy and comprehensiveness of all regulatory content, as well as ensuring timely and efficient delivery of such content via all platforms. As the Team Lead for North America, she focused on content development and regulatory reporting for all issues impacting the environment and health and safety in the United States and Canada. As leader of the North American Team, she held responsibility for developing content, ensuring accuracy in regulatory analysis, participating in compliance audits, and delivering exceptional content to clients. Rachel has worked for Enhesa in the U.S. and in Belgium. 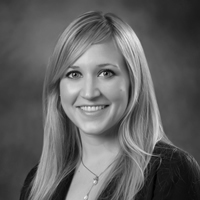 Rachel has extensive knowledge of regulatory law internationally and in the United States and Canada. Before joining Enhesa, she served in the public sector as a judicial law clerk to the Honorable Tracy Christopher and in the private sector as litigation associate at Tucker, Taunton, Snyder, and Slade in Houston, Texas.